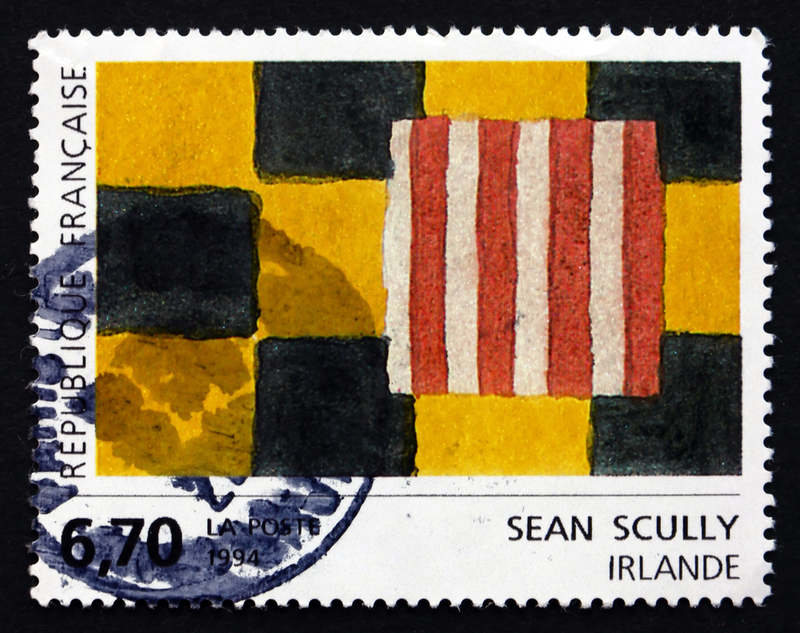 Pawn your Sean Scully Paintings & Art | Loans on Sean Scully Paintings! Anyone not lucky enough to own an abstract artwork by contemporary artist Sean Scully could do worse than to head to London’s National Gallery. There, an exhibition of his work entitled Sea Star runs until 11 August 2019, reinforcing Scully’s impressive sense of colour and composition. These are powerful, emotive oil paintings boasting broad brushed boxes and stripes. But, not all of Scully’s paintings hang in public spaces. Private owners and dealers sometimes decide they want to release the capital from their own Scully artworks. That’s where New Bond Street Pawnbrokers step in. When a client tells us, ‘I want to pawn my Sean Scully art and paintings at your London shop,’ our response is sensitive and swift. Customers value us for our discretion and the fair evaluations that we offer for loans on Sean Scully art and paintings. Born in 1945, Irish-American Scully has gained international fame, with work held in galleries and collections worldwide, including London’s Tate Gallery, The Museum of Modern Art in New York and the Reina Sofia National Museum in Madrid, plus many more. Scully’s paintings offer echoes of Rothko but are without the heavier hues that Rothko can bring to the canvas. When you look at Scully’s work you feel reassured, level and absorbed by new and lyrical landscapes. His work is much sought after because of this, and because it seems to transform itself to match any number of different settings wherever it hangs. We are ready and waiting to discuss any questions that you have about our loans on Sean Scully art & paintings at our award winning pawn shop in Central London. The first question that clients ask us is ‘how much can I pawn my Sean Scully art or paintings for?’ In order to answer that we need to first consider that his ‘Wall of Light’ and ‘Landline’ series have elevated him to become one of the most important artists of the 21st century and a natural successor to the abstract expressionists. Values range enormously. For instance, a limited edition (x25) hard-ground etching and aquatint in colours on paper entitled Narcissus sold for £2,250 in June 2018. Five months later in November 2018 his painting Landline Red Veined sold for $1,515,000 (approximately £1,178,000) in November 2018. That significantly outpriced the work Grey Red, which had sold for £665,000 in October 2016. Of course, as with any artist authentication is key to making an accurate evaluation. Once we have worked with you to fully assess your Scully painting or print, we are able to state its value and transfer your loan quickly and easily. In an interview with the Guardian newspaper in 2015, Sean Scully said “I’ve always wanted my art to be global rather than local. I want to make paintings that people everywhere can relate to.” It is precisely that relevance that makes Sean Scully paintings and prints so collectable. If you want to release capital value from a painting, then Scully’s artworks are a reliable way to do it. If you want to raise a loan against a painting then New Bond Street Pawnbrokers can enable you to do that while putting your privacy first, because there are some things you just can’t put a price on. With a quarter of a century of experience in dealing with paintings, we are confident that we can help you raise a fair price for your Scully artwork. Our friendly appointment system gives you time to show and discuss your individual Scully painting. We don’t hurry you and we don’t hassle you. We think that once you’ve met us, you’ll trust us to keep your details secure and your precious painting safe. Get in touch today to arrange an appointment to visit our pawn shop in London’s New Bond Street. Whether you are looking for a loan or seeking to sell, we are here for you. For more information on services provided by New Bond Street Pawnbrokers please watch our video here and read about the loan process here. Some of the many artists we loan against include Andy Warhol, Bernard Buffet, Damien Hirst, David Hockney, Marc Chagall, Raoul Duffy, Sean Scully, Tom Wesselmann, Tracey Emin, Banksy, and Roy Lichtenstein to name just a few.